If you were paying attention last week, you will have noticed that some paw prints have been attached to my big bear. I love how they turned out and am really pleased to tell you all that the pattern is now ready to be released. I have included two versions of the paw in the pattern, and this will hopefully give you lots of flexibility in the way that you use them. I have made no secret of the fact that the paw prints were designed to compliment the big bear and little bear patterns, but its use should definitely not be limited to this. 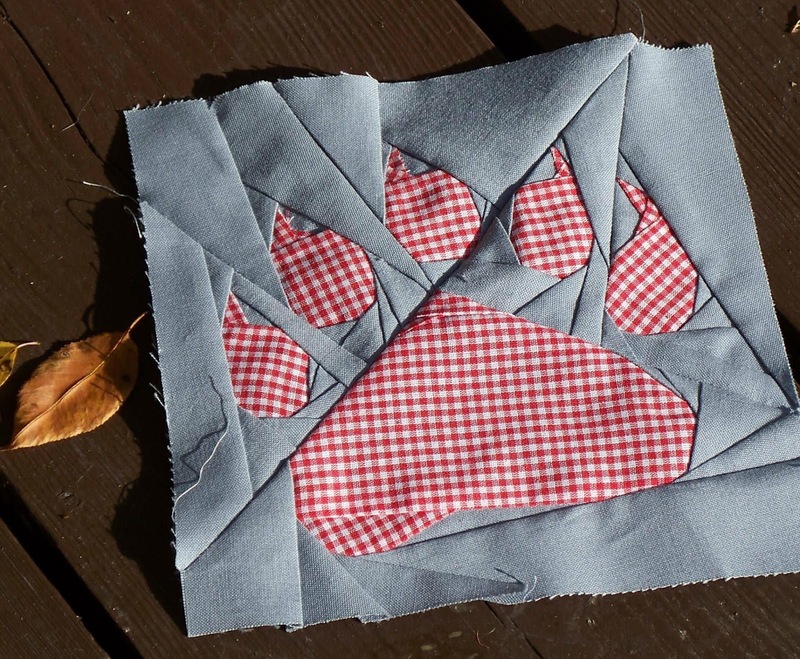 How about a trail of paw prints ambling around your quilt for example? They don't even HAVE to be bear paws, you could easily use them for many other animals. As always, I have given them ultra imaginative names. There is the angled paw and the straight paw. 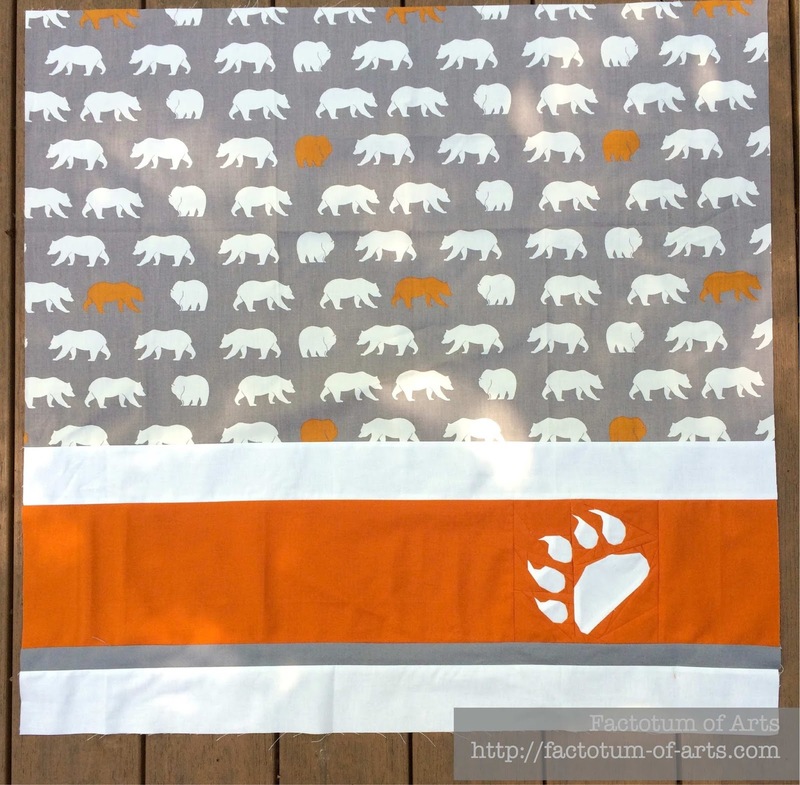 Michelle worked her magic and created a beautiful quilt back for Bjorn the Bear. Isn't it stunning! 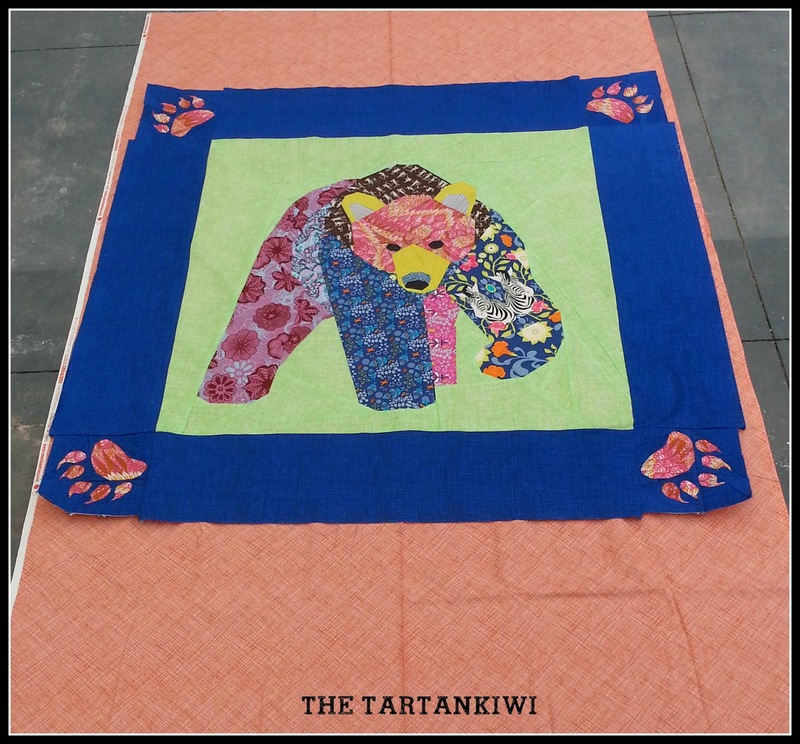 I love the way that Michelle incorporated the paw print into her quilt. If you haven't seen Michelle's work already make sure you pop over and have a look at her blog. She is a talented pattern designer in her own right and it is a real treat to have her as such an enthusiastic tester! 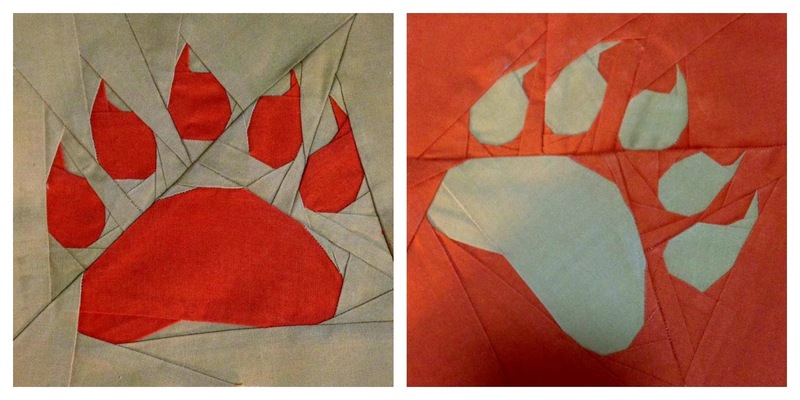 Fiona sewed both versions of the paw print. I believe that she is going to use them as lion paws- I can't wait to see how this project develops. Shari sewed the straight paw print for me. Doesn't it look great in gingham? If you would like to get your hands on my bear paw pattern, you can find it in my Craftsy Store. It will be reduced price for the first 48 hours. This post contains affiliate links. This means that if you're not already a Craftsy member and you sign up or make a purchase after clicking through from this post, I'll earn a small commission. Aw, Juliet thank you so much for the lovely note above :-). If you still need a tester for the walking elephant you posted I would love to give it a try. Your patterns are fantastic and if anyone wants to try paper piecing they definitely need to try your patterns out!! Wonderful additions to your pattern library Juliet. Great to see the different versions/colours and how they are being used too! Cool paws! Love the backing.